Shawn Phillips' Musings | Tips on Real Estate, Better Health and Loving Life! January is here and it is cold!! January and February are usually the coldest months in Charleston. But we know that spring is just around the corner. Of course, there are some great things to do inside in Charleston during January. Restaurant Week, Stanley Kubrick Film Festival, Jazz Festival, and Shen Yun should keep your mind off the cold. Charleston is doing so well. This will likely be the busiest year ever for Charleston real estate with close to 18k transactions. Median sales price is up 4.3% over 2016 at an all time high of $255k. Goose Creek and Summerville are really taking off with the building of the new Volvo Plant. Folly Beach just got a boost from Trip Advisor. It was named to the Most Charming East Coast Beach Vacations list. Mercedes is building a new plant for its Sprinter van here in Charleston. Thermo King, a temperature control and refrigeration systems manufacturer will open a new plant in Berkeley County to supply the new Mercedes plant. Cypress Creek Renewables is building a $115M, 75MW solar facility in Orangeburg Country. CARTA has installed a bus shelter at the airport to handle the ever increasing passenger load. Deytens Shipyard has received a $7.8M contract to service the USNS Big Horn. Heatworks will create 60 jobs when it moves its tankless water heater facility to a larger plant in Mt Pleasant. Welcomemat Services has ranked Mt P the 6th best place for small businesses of the 375 neighborhoods it researched. The SC Dept of Commerce has established a $2M aerospace endowment at USC’s College of Engineering and Computing to enhance the college’s partnership with Boeing here in Charleston. It may be cold outside, but Charleston is on fire! Interested in buying, selling or investing in our HOT real estate market? Contact me at 843-471-7315 or ShawnPhillipsSellsCharleston@gmail.com . You can also get current information about properties at ShawnPhillips.valuedagent.com . Our real estate market continues to perform well. Year to date, we are up 3.3% over the same period from 2016 in number of transactions. We may possibly sell over 18,000 homes for the first time in history in 2017. A few MLS areas are actually down in sales numbers simply due to lack of inventory. No one wants to leave!! Year to date, we are up 4.1% in median sales price over the same period from 2016. Median sales price is now around $254k. There are a few specific MLS areas, like James Island, where median sales price is up over 10% over 2016 prices. New construction abounds all over the tri-county area. Johns Island and Summerville and Goose Creek have a lot of new construction. Five SC schools received Blue Ribbon status this year, and two are here in the Lowcountry. Buist Academy for Advanced Studies and Palmetto Scholars Academy were recognized. The College of Charleston is not only the most beautiful campus in the US (as recognized by Travel & Leisure) but has another great ranking. Best Computer Science Schools Digital ranked the Top 35 Best Schools for Big Data Degrees in 2017. College of Charleston ranked #5!! Interested in relocating to the Low Country? There’s always so much to see and do! Contact me if you are looking to buy, sell or invest in property. The Coastal Lifestyle Property team covers a large area from Summerville to Edisto to Johns Island to Mt Pleasant to Folly Beach. We can help you find the perfect area for your budget and interests! Call us at 843-471-7315 or email me at ShawnPhillipsSellsCharleston@gmail.com. In automotive news, Volvo has announced it will double their initial $500 million investment and add an additional 1,900 to its original 2,000 employment estimate. The 1,600 acre Ridgeville plant will produce the company’s S60 sedan. The Governor says we’re in the running for the new Toyota-Mazda plant, along with 10 other states. The collaboration will require 1,000 acres, 2 assembly lines, and 4,000 workers to produce 300K vehicles each year. The $1.6B plant would open in 2021 building a crossover for Mazda and the Corolla for Toyota, both for the US market. The Citadel was named the South’s #1 public college. The College of Charleston (voted the most beautiful campus in the country by Travel and Leisure) was not far behind at #5. College of Charleston was also tied for #2 college in the south for undergrad teaching, according to US News and World Report. Researchers from 10 SC universities, including the College of Charleston and the Medical University of SC, have been awarded a $20M, five-year grant from the National Science Foundation. According to the US Bureau of Labor Statistics, the Charleston tech community created almost ten thousand jobs in the year ending 5/16. With all this going on, you are certainly right in thinking that our real estate market is very, very strong. We will probably sell over 18,000 homes this year for an all time record. Median sales price is over $250,000. New construction abounds all over the tri-county area, but especially in the area near the new Volvo plant. Lots of investors are buying up rental properties and the rental market is very strong as well. Looking to buy, sell or invest in the Charleston area? The Coastal Lifestyle Property team are professionals who can make your dreams come true. Contact us at 843-471-7315 or at ShawnPhillipsSellsCharleston@gmail.com . We pride ourselves on treating every client as if they are our only client! This cozy home is conveniently close to all of the amenities of life. It has been lovingly maintained and cared for over the years. From the beautiful landscaping, to the spacious interior and generous rooms, to the updated kitchen, this lovely home is upscale suburban at its best. Imagine yourself as the next caretaker of this charming You are buying a lifestyle, not just a home in the highly desirable Summer Park Community. Freshly updated.The open floor plan will work for the most discerning buyer, featuring a large formal dining room, breakfast bar and cozy eat in kitchen with tranquil views of the backyard oasis with no houses behind the property. There is a large family room with wood burning and/or gas fireplace, tiled screened porch with 18′ patio to enjoy the low country lifestyle. Bonus room is large enough for an office, media room or even a 4th bedroom. The open kitchen is a chef’s delight with silestone solid surface counter tops, marble backsplash, staggered 42” maple cabinets with crown moulding, and high end appliances including a GAS range. Kitchen includes a 9″ single basin sink and recessed lights. Master bedroom on ground floor. 2 bedrooms and a loft that could be converted to 4th bedroom on 2nd floor. Downstairs features gleaming wood floors and Italian porcelain tile, an open floor plan with a formal dining room, eat in kitchen, and family room, master suite, laundry room and powder room.Charming backyard with a privacy fence. Additional flourishes include moulding around all windows and doors, upgraded lighting and fans. The huge first floor master suite] offers views to the private wooded back yard. The deluxe master bath offers a garden tub and separate shower with dual raised vanities and the master closet is upgraded with a California Closet system! Upstairs features 2 additional bedrooms, floored walk-in attic space, a large loft and bonus room. The upgrades are endless and include crown molding throughout the ENTIRE home and finger trim molding around all the windows in the main living areas. The light fixtures and ceiling fans throughout are designer upgrades. There is 2″ plantation blinds throughout and a security system for your peace of mind. Immaculate 2 car garage with epoxy floor. This truly is a must see, the words or pictures won’t capture the beauty, livability or elegance this home offers. Physicians & Dentists – Years of hard work and commitment in your search for a new home. a no down payment mortgage is available. As a former hospital administrator I am very aware of the challenges licensed medical professionals have in financing their home. Many physicians and dentists graduate with several thousands (hundreds of thousands sometimes!) of debt and find it difficult to raise the down payment needed in order to both grown their practice and purchase a home. That’s why I was so excited to be able to partner with Sun Trust Mortgage. Sun Trust Mortgage provides a fantastic option – financing up to 100% with no mortgage insurance on primary home loan amounts up to $750,000 for physicians who are still in their internship, residency, and fellowship programs in MD and DO programs or for physicians who are within ten years of completion of their residency or fellowship training. Interested in a larger loan? They have financing of up to 95% up to $1,000,000 and 89.99% on loans up to $1,500,000. Because it is common in our Charleston market for sellers to assist with closing costs, it may be possible for a doctor to purchase a home with no money out of pocket, and to wind up paying less on your mortgage payment than you do for rent. Just like any mortgage loan, you will be asked to prove your income, assets, and creditworthiness. Contact me today at 843-471-7315 or Shawn.Phillips@kw.com and I’ll work with you and a doctor-loan specialist to get you pre-approved. It is possible to close on your house up to two months before starting your position – so if you begin July 1, you may close in either May or June. p.s. Not buying in the Charleston area? This program is available in a number of southeastern states and I can help you find an excellent Realtor. Source: Relocating to the Charleston Area? Realtors are seeing a new trend. Instead of gravitating to large homes, people of all ages are starting to embrace a less is more attitude. Downsizing is no longer relegated to seniors as young families are shying away from the mini-mansion craze and are starting to look for a cozy, smaller home. Many are drawn to neighborhoods where homes are closer together and have front porches where one can sit and visit with neighbors passing by. People of all ages are finding that a smaller home that is the rightsized for you and your family means more money in your wallet. Your life is less stressful without paying large amounts in mortgage payments, taxes and insurance. No longer will you have to pay huge utility bills. You may even decide that you no longer need landscapers to maintain your large yard. The decrease in all those expenses will give you more money to enjoy life. Moving into a smaller home encourages people to interact more. You have more opportunities to sit and talk, play games, or watch TV together. Furthermore many of these smaller homes are in subdivisions with more recreational activities such as walking trails, tennis courts, pools, golf courses, and lakes – all enticing people to enjoy life together inside and out. Your new home could inspire special bonding opportunities and create many wonderful memories. Looking toward the long term – purchasing a smaller home is a wise investment. If or when it comes time to sell, your smaller home will appeal to a wider audience of buyers. You can boost the value your right-sized home offers by having it in an ideal location – neighborhood amenities, the ability to walk to stores, or near an attraction such as the beach or waterway. Access your actual needs – use the one year rule. If you haven’t used it in a year, get rid of it. Avoid tackling the whole house in one go – it’s too stressful emotionally and physically. Work on one room at a time. Banish the “maybe” pile. Use the OHIO rule – only handle it once. It’s yes or no. If it is chipped, broken or stained – toss it! Sell your stuff – estate sales, consignment stores, Ebay, Craigslist, etc. Rightsizing is becoming a national trend for many reasons but the most common is to gain quality of life. By simplifying your life and surroundings of “stuff” you will find you are free to pursue your passions such as hobbies and travel without the responsibilities and financial burden of a large home. This doesn’t mean you can’t still live in a home that offers luxuries. Less can be more. Are you thinking of downsizing or upsizing? I’m an experienced and knowledgeable realtor who helps people buy and sell homes in the greater Charleston area. Let’s discuss what makes sense for your family and find your dream home! Contact me at Shawn.Phillips@kw.com or call me at 843-471-7315. Just looking? Go to Search for your dream home . First let’s start with the fact it costs more to rent. In fact according to a recent Trulia article, it costs over 50% more to rent in Charleston than buy: Trulia article . While this assumed a 20% down payment, there are a number of mortgage options that allow a homeowner to purchase for less than 4% down. Mortgage rates are still low (although creeping upward) so this is an excellent time to purchase even if home prices have risen in many areas. While changing up the bathroom or the paint on the wall in your apartment isn’t going to add any extra lining to your wallet when you move out, making upgrades to a home that you own will have the very opposite effect! Renovations can certainly be unpopular while they’re taking place, but no matter how small or large, they can mean an easier sell and a higher profit when the home finally goes on the market. We have a number of deals in the Charleston areas that are “fixer uppers” but the investment pays off significantly. An apartment you rent won’t offer opportunity for investment if you’re away from your home for an extended period of time, but a home you own may serve as an ideal investment property at some point in the future. With the success of Airbnb and unique modern housing needs that may only require a home rental for a short period of time, being able to use your house as a rental property can be a significant boon for earning money you would have otherwise been without. I recently spoke with a young man who averages almost $15,000/month on a property in Charleston through Airbnb! It may also make sense to purchase a duplex and live in one unit while renting out the other to cover all or a good portion of the mortgage. Buying a home can require a lot of number crunching in the beginning that rent does not, but it can also provide significant financial benefits down the road that might not exist without such a purchase. If you’re considering purchasing a home in the near future, contact me – your local real estate professional for more information at Shawn.Phillips@kw.com or 843-471-7315. You may also start looking for your dream home at Shawn-Phillips.kw.com . If your home is like most, there may be several rooms that have multiple uses. For example, you may have a work desk placed in the master bedroom, or a section of the living room may be designated as a kids’ play area. While this may be functional for how your family lives and even very attractive, it can confuse buyers. Buyers need to be able to walk into a room and imagine their own family living in the area. They may not have a need or use for a desk in the master bedroom, and this can confuse the use of the space. In addition, it also can make a room look smaller and more cramped than it is. In addition to defining a single use for each room in your home, you should also de-clutter your rooms. Depending how long you have lived in your home and how significant your periodic spring cleaning sessions have been, this can be a major undertaking and you may need help.. As a good rule of thumb, items that have not been used in more than six months may need to be donated or tossed away. The exception to this rule is seasonal items, like winter coats, pool toys or holiday décor. Keep in mind that buyers may open cabinets, drawers and closets, so your cleaning session should be thorough and not superficial. When a home is properly staged, it may feel as though your home is not your own and even as though you are camping out in your own home. Keep in mind that staging can help you to sell your home as quickly as possible and to get the highest bid possible. It also helps you psychologically as some have a hard time leaving the memories of a home. Therefore, your effort is well worthwhile. Someone has fallen in love with your home and wants to buy it. Congratulations! But it would be unfair and unwise for them to invest without truly investigating what they are getting into. Buyers depend on home inspections to protect them from purchasing a money pit. They want to know what they are getting into. This means that the buyer hires the inspector, not the seller. The seller must do everything they can to present a good face to the inspector because the inspector is not on their side. Inspectors investigate every aspect of a home from the roof to the yard. 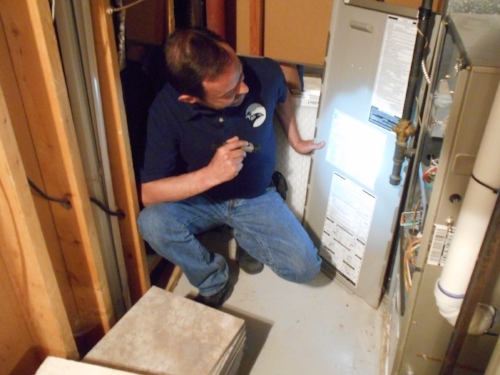 They look for problems that need immediate addressing and problems that might arise down the road. 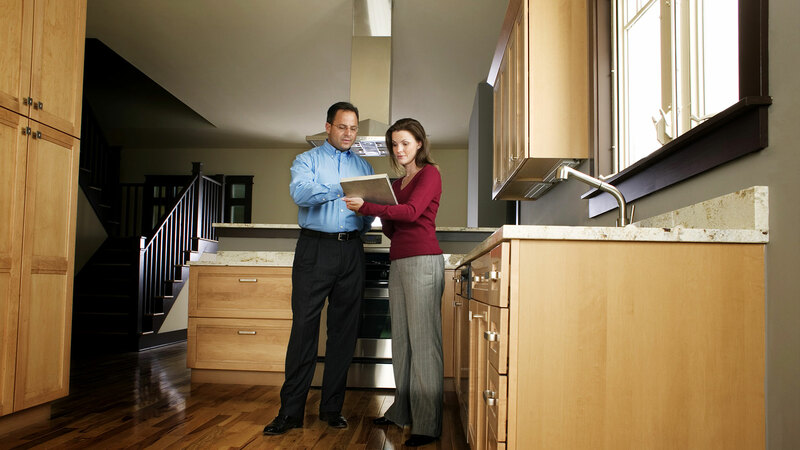 Negotiations take place once the buyer receives the inspection report. Are you or someone you know thinking of buying or selling a home in the Charleston area? Please contact me at Shawn.Phillips@kw.com or 843-471-7315 . Want to search for homes? Click here: Shawn-Phillips.kw.com I look forward to earning your business! Renovating your home is a good idea if you’re planning on putting it on the market, but adding on another bedroom or choosing a garish color of paint might not be worth the cost you’re going to pay. We have some great deals on some amazing homes! Looking for a new home? We have listings in all areas. Whether you are looking to relocate, a larger home for the family, a 55+ community, or just ready to enjoy all we have to offer in this charming area – we have something to suit your desires. Need to sell first? We offer a full service listing that will help you make more money, sooner, and have less hassle. This is just a taste of the wonderful homes we have listed. Let us help you find the one that’s perfect for you and your family. 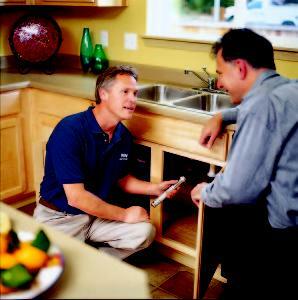 We offer proven results and quality service! Relocating to a new area can be exciting, but it can also be expensive. There are many resources to help, but most cost money.However, if you take your time and plan carefully, you can reduce the expense so you don’t start your new life with new debt. Here are three tips to controlling your moving budget. Moving to or from the Charleston area? Contact me at Shawn.Phillips@kw.com or 843-471-7315 for advice on keeping moving expenses down. Ask about providers who may give you a discount for being referred by me. Remember that you are in charge of your move, so don’t automatically sign up for every service available. By using free goods and services when available and doing much of the work yourself, you can set and follow a moving budget you can afford. According to a Portland, Oregon-based company, City Observatory, there’s a growing demand for homes located in walkable neighborhoods. A Decades-long love affair with commuting from suburban areas, to work in the city has greatly lost its appeal. Other favorable community amenities include bicycle paths, libraries and parks. These are great bonuses for neighborhoods to attract fitness-minded individuals and promote a family-friendly atmosphere for buyers with kids. Speaking of kids, living in an excellent school district usually yields higher home values. Safety is a top concern for most home buyers. Although, there’s little one can do to quell neighborhood violence there are things an owner can do to make their home safer. They may want to consider studying security features on homes in their neighborhoods and adopt what they can, within reason. With all of the creative financing available, if you can afford to rent you may very well afford to buy! Are you ready to make that leap from living at home or renting to owning a home of your own? While everyone moves at their own pace, here are some signs that you can use to determine if it is time to own your own home. Let’s take a look at some of the reasons you can use to justify your decision. Those who have a steady job and know that they have a stable salary may want to make the move to home ownership. As long as there aren’t any other major debts eating into your income, you can probably handle a mortgage and other costs associated with home ownership. The equity that you build in your home can help you build wealth for the future if and when you want to retire. There are tax advantages to owning your own home. Your home may also make a great rental property in the future, which can help you diversify your portfolio and keep you solvent for years to come. Are you ready to be a homeowner in the near future? Only you can say for sure if it is time to make that leap. However, those who are looking for a long-term housing solution may be ready to make that move. For more information, shoot me an email at Shawn.Phillips@kw.com or call me at 843-471-7315. I will put you in touch with a mortgage specialist who can help you determine how much home you can purchase and the various home buying plans.